One of the best devices on the market right now for child tracking is the Amber Alert GPS. It is a small GPS tracking device than can provide real time updates on your child’s location and help you answer that all important question: where is my child? With the Amber Alert GPS you get a very powerful GPS tracking device in a nice, compact package. Coming in at 1.77″ x 1.68″ x .78″ this is one of the smaller tracking devices on the market. You can easily conceal this in your child’s pocket, coat, or backpack without it being annoying to the child or easily detectable by someone seeking to do your child harm. The call or text the Amber Alert GPS to ask for a position update. If you have a web enabled phone you can see their position on a map right on your phone. View a map of their location online in real time whenever you want to get an update. If your child presses their SOS button you messages can be sent out to 5 phone numbers or emails, meaning that you and your spouse can be notified of the SOS on your phones and your email – this is a great feature for working parents who have to juggle different phone and email accounts. If your child goes outside a predetermined GeoFence then you will be alerted of this movement via text message or email. Be notified if your child starts moving faster than a predetermined speed that you set up. This can be good for child safety, but is particularly helpful in tracking teen drivers and monitoring their driving behavior. And finally, if the temperature exceeds or drops below a certain threshold there is also an alert that is sent out to you. This alert can be modified and is useful for ensuring that your child is safe and comfortable. In addition to all the location feature there are two additional features worth mentioning. The first is the SOS button. This button, as you might have implied from the bullet points above, will send out a message containing your child’s location when they press this button. These messages will continue to appear every 5 minutes, giving you a fresh update of your child’s location. This is obviously huge. If your child had to press the button because they were being taken by a stranger then having their position delivered to you every 5 minutes will help you and the police locate your child extremely quickly. Even if they are not taken, but only injured or scared, it is really nice to be able to get to them quickly if they are on the move without having to call the device to see where they are at. The second important feature is something that the Amber Alert folks call “monitoring.” This is a feature controlled by the parent that lets them listen in on what is going on around the child. Again, this is a huge feature when something is going down with your child and they have pressed the SOS button. If they are under attack you can hear the voice of the attacker or you can hear that your child is handling the situation appropriately and getting the help that they need. Monitoring equips you with the knowledge that you need to make an informed decision about your child’s safety. With all these positives about this child tracking device we have to talk about some of the negatives associated with it as well. The first is a fairly short battery life. This device can hold a charge between 18 and 24 hours. While this is plenty of time in most circumstance, it can be a hassle to switch batteries every day to ensure your child has full power for the next time they are separated from you. But to be honest, this power issue is entirely expected. When you have a device that is as small and concealable as the Amber Alert GPS and allows you to get real time tracking information you are pretty much guaranteed that the battery life is going to be relatively brief. The technology just isn’t there right now. If you decide to purchase the Amber Alert GPS you are going to be getting one of the best products on the market for child tracking. The device is not cheap, but you really do get a lot for the money that you pay. Child locators are devices that contain GPS or radio technology that can communicate a child’s location to their parent. Generally speaking, devices that work over short distances use radio technology while devices that work over long distances make use of GPS. The short range tracking devices often have a receiver that will provide the parent with instant feedback on their child’s location while the longer range devices often require some sort of interface to access the GPS tracking information. There are obvious pros and cons to each device type that parents should consider before deciding which one will best fit their child’s needs. 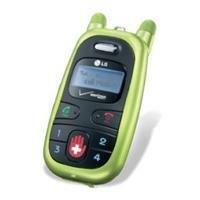 Short range child locators are excellent because they provide instant feedback for parents. The device to the right is from Brickhouse Security, the company featured in a Duracell commercial found on cable television. This child tracker provides parents holding the unit in the center with the general direction and distance of their son or daughter who is equipped with the device pictured on the left. These devices can be great for use at parks or other very public, very crowded locations where kids of all ages can easily get lost in the mass of people. All it takes is a split second for you to get distracted and your child to step through a crowd and be out of view. Most times children are simply looking at something interesting, but the feeling in your chest is one of complete panic. Short range child locators are designed specifically to help parents find their children in this type of circumstance. The child is within a few hundred feet of the parent, they are in some way obstructed from view by terrain or crowds, and the chances of being separated from your child for a long period of time is relatively low – all of which lends itself to quick location information that points you in the right direction immediately. These types of child locators do have some drawbacks. Most of these kid tracking devices are limited in range. 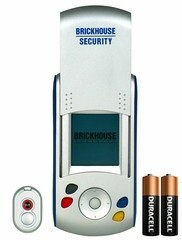 According to the specifications on the child locator mentioned above provided by BrickHouse Security, the child tracking device is only effective up to ranges of 600 feet outdoors and 250 indoors. While this is more than sufficient for a wandering child who slips out of sight momentarily, it is frighteningly insufficient for tracking your child while you are at work or while they are at a friends house. Another potential drawback is the fact that you need to keep the monitor with you at all times if you want to check in with your kid’s location. This probably will not bother too many parents, but you already have a camera, a phone, keys, a wallet, a purse, etc. carrying an extra thing around can be a little inconvenient. When it comes down to it though short range child locators do a great job at giving concerned parents a quick and accurate vector on their child’s location. When you think of a long range child locator it is best to think of GPS. This is not always the case (see kids GPS phones), but in these instances the child locator acts just like it had GPS technology in it in the sense that you can estimate the location of your son or daughter to within a few meters. Long range child locators provide exactly what you might expect from them – the ability to track your kid from one end of town to the next. By using GPS or cell phone technology these devices provide very accurate and very useful information to parents such as the direction of your child. They can also allow parents to track a teen while driving (this is good for making sure the teen’s driving habits are good and that they don’t speed). This could be the key in determining if your child is as safe as you would want them to be. The benefit to this type of system is that you can access the information anywhere you have access to the internet. Your home, office, local library, a coffee shop, or any place you can get cell reception if you have a cell phone with internet access can provide you information on your child’s location. This is particularly powerful in those emergency situations that no parent ever wants to find themselves in. If something terrible were to happened at your kid’s school, or a natural disaster strike while your child is at a friends house, or your teen doesn’t show up to the house at curfew all you would need to do is get to a internet enable device and you could see exactly where they are in the time it takes to get on the internet. In some cases, that lightening quick information could be the difference between life and death. It is also one of the biggest drawbacks of these long range devices. Situations where the short range child locators flourish are terribly impractical for the longer range counterparts. A kids GPS cell phone or even a GPS kids watch simply will not do at a crowded amusement park if you have to go back to the hotel room to get on the internet. You want to find your child and you want to find them now. It seems hard to imagine loosing sight of your child in a crowded place and taking out your cell phone, getting on the internet, entering your login credentials for your child locator subscription, finding out that your child is somewhere at Disneyland, trying to find out exactly where at Disneyland they are, and then heading off in that direction to hope to find them. What you need in that instance is to know exactly which direction to start looking right away. It is important to note that one device isn’t necessarily better than the other – it all depends on the way you want to use the locator. In some family circumstances, a long range, GPS device is going to best fit the needs of parent and child. In others the shorter range child locator is going to be what is best for everyone. In the end, only you can make the decision on what type of chid locator works best for your family.